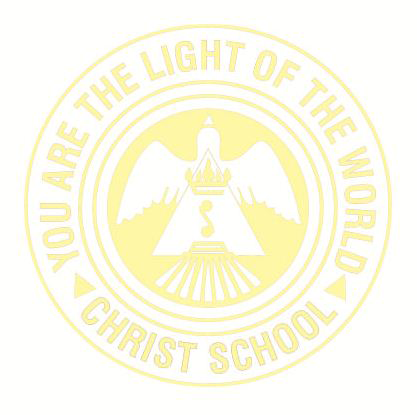 “You are the light of the world” is the motto of Christ school. It is taken from the Holy Bible Mathew 5:14. Imbibing this spirit, Christ School concentrates on the integral growth and total formation of the human person by leading the life in a righteous path. Light cannot be sordid. We make the students to apprehend that they are the light of the world and they must live uprightly to reveal the love of God. Let the light sparkle before others by doing good deeds essential to the well-being of the world. Awakening every child to be the light of the world, by inculcating Character Excellence, Rational Proficiency and Mental Supremacy. Christ School is a fostering ground for the holistic development of every child to spread their radiance for the growth and excellence in the society. The school Logo reflects the quintessence and values that the school upholds. The Dove soaring high typifies the students to elevate themselves to lofty heights and not to look down even when there is turbulence, which will automatically force them to excel. The symbolic representation of Christ School Bengaluru , in the form of Lamp signifies the enlightenment of mind and intellect. The Triangle represents perfection and the source of unlimited potential. The Circle symbolizes wholeness and oneness.The circles enclosing the triangle epitomizes a means of warding off negativity and generating positivism and protection. The Rays emitting out of the triangle are the core values that one has to attain with all earnestness, sincerity and endeavour to radiate this light to every corner of the world.